We have exhaustless capacity for blown, cast and multi-layered co-extruded film products for thousands of varying applications which we supply to many internationally renowned commercial and household names through many market sectors globally. Innovative design solutions and tailored supply logistics serving a prestigious and diverse client list. Here we have the capability of producing millions of quality printed and plain cases, boxes and fittings across thousands of different specifications each year. Our dedicated equipment division focuses on the supply and installation of specialist packaging machinery, equipment and other affiliated industrial, lifting, handling and storage products. "Life is a gift and it offers us the privilege opportunty and responsibility to give something back." 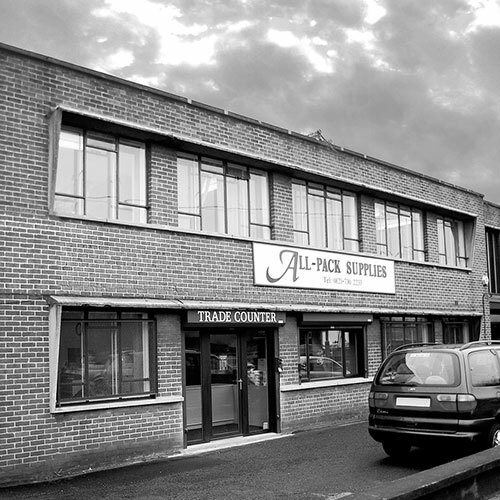 The allpack® story began in Birmingham in 1994 when a young accountant and keen entrepreneur began selling boxes, tape and bubble wrap to local firms. He kept his stock in his garden shed and delivered it to our customers with just one small van. Soon, word spread about the quality of our products and our service. Ove the following years we gained new clients, expanded our range and developed our business, moving premises several times as we grew. However, we`ve always stayed focused on our main specialisation: industrial transit packaging. The allgroup company structure empowers supplier consolidation, providing single source packaging contracts for many blue-chip, multiple line and packaging users. 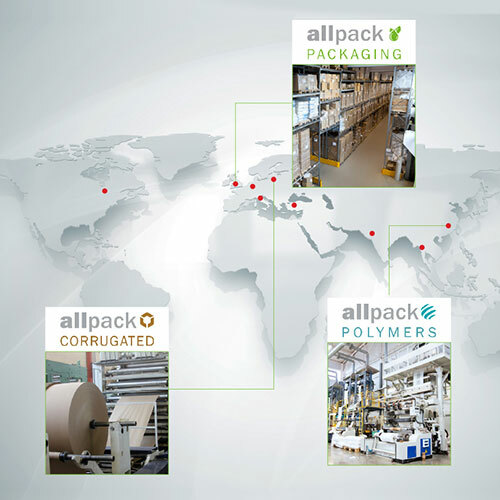 allpack® now boasts 4 separate divisions for our customers to call off via stock holding agreements. Responsibilityallpack® are committed to protecting the environment, promoting the use of sustainable resources and engineering the highest quality recycled materials.